To view the point series visit pointseriesaruba.com. You can see standings for Jr. Dragster, Scooter-Quad, Streetlegal Bike & Streetlegal Car. 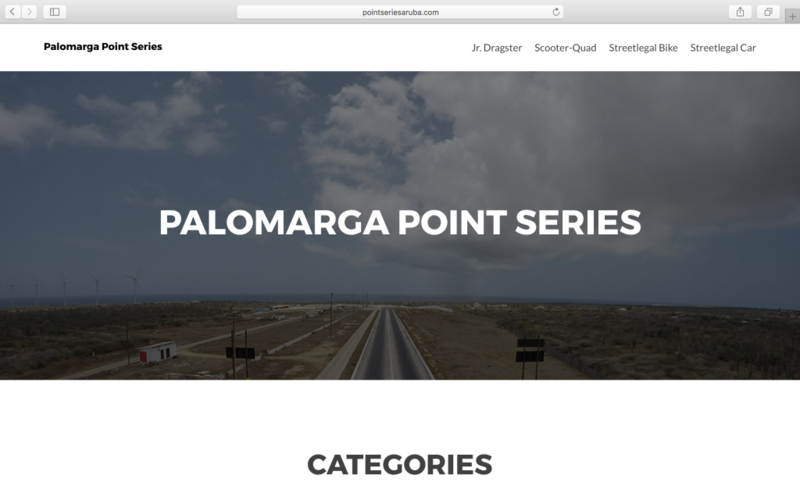 This site was developed by RaceJunkies.com for The Revival of Palomarga 2.